Just as I thought I had nothing to post today, aeramoure over at Not So Crazy Talk nominated me for the ‘Very Inspiring Blogger Award’. I’m really flattered, and this has made me smile on a day that has otherwise been very much devoid of smiling. So, thank you aeramoure, and anyone interested in an inspiring and thoughtful blog should take a look at that link. 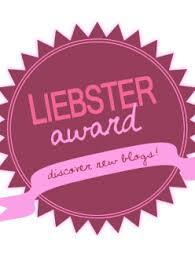 Nominate other amazing blogs and pass it on. – I could be quite accurately described as a crazy cat lady at the moment. But that’s okay with me – cats can be very friendly, cuddly and comforting sometimes. – I’m into loom bands *don’t judge me, blame the kids I babysit*. I really like having something to do with my hands now that I’m restless all the time, and it’s satisfying to make things rather than say, play a computer game. – That said, I’m totally addicted to online Tetris, the kind where you play against other people. So much fun. And so many hours lost. – I used to be really into wacky nail colours, henna tattoos etc…but somehow I’ve lost interest, which is sad. – The author of a famous toddlers book is coming to a bookshop in our city, and I would love to meet her, but I’m too embarrassed since I’m not a toddler or a parent. – Pretty much everything about the future scares me. Therapy Journey – Meet one tough blogger, pushing through situations that I would pay serious money to avoid. Ella Cook – Beautifully written and certainly inspiring, Ella’s words really make you think. Sensuous Amberville – Check it out for inspiring, useful content, that sometimes really touches your heart. Marci, Mental Health & More – This fantastic blog shares real experience alongside challenges and polls, all of which will prompt you to think. 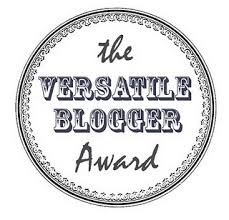 I’m absolutely delighted to announce I’ve been nominated for two awards recently – firstly the Liebster award for new blogs by This Ordinary Life, and today also the Versatile Blogger award by Jody’s Scribbles (thank you both!!!). Both of these blogs are well worth a read – This Ordinary Life is a wonderfully written blog about struggles with anxiety, and Jody’s Scribbles has certainly made me laugh/smile/feel inspired, so I recommend checking them out! 1) Why did you choose your current career? Funnily enough I’ve just finished my undergraduate final exams, so I’m currently unemployed! If I had to pick a career, I’d choose to be a writer of young adult fiction, because reading and writing have been lifelong hobbies. I’d stay right here when I am in the UK – as tempting as it would be to disappear off somewhere hot and exotic, being the antisocial person I am I’d end up too isolated for my own good! But I do genuinely love most things about the UK; I like the (variable) climate, the food, the people, and the lifestyle. 3) What are your favourite things to do on your day off? I like to catch up on TV (currently loving the new season of Orange is the New Black), and depending on where I am I might do some sketching. I don’t think I’m terrible, but I’m not too sure! When I was a kid I would sing in the school choir, and my friends would tell me I had a good voice, but my younger brother always insisted I was awful so I’ve ended up lacking a bit of confidence. I do enjoy singing though; if there’s no one else at home I’ll crank up the speakers and sing my heart out. 5) Who is your hero/heroine? 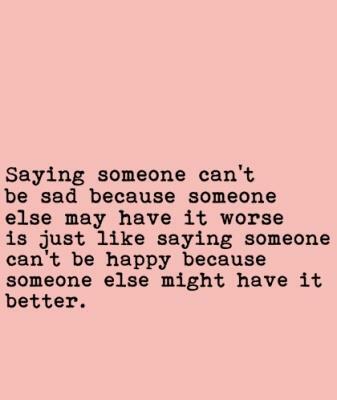 I have always hated this question, because I’ve never really had a hero or person I’ve particularly aspired to be! 6) Do you get along with your parents? Yes, no, maybe? We very rarely argue, but that’s a function of me not living with them, and because arguing with my parents never works out in my favour. 7) What is your favourite band/singer? At the moment I’m loving a combination of One Republic and Madina Lake. 8) Have you ever won an award for sport? I won an egg-and-spoon race when I was six if that counts?! I’ve never been much of a sporty person, mostly because I’ve always been overweight and grew up believing I would be laughed at if I ever really tried to be sporty. It’s a shame because I used to really enjoy badminton, but as I got older I stopped playing because I was too self-conscious. 10) What is your favourite book, and why? Such a hard question! When I was growing up my favourite book by a mile was ‘The Runaways’ by Ruth Thomas, because it was written with such an accurate understanding of children my age that I could really relate to/picture everything that happened (…and, even when I was little, I fantasised about disappearing off to a new life). I’m not sure what my favourite is now, but it would probably be one of my chick-lit books like ‘Kiss’ by Jill Mansell. I’m always slightly ashamed of reading chick-lit, but Jill Mansell and Sophie Kinsella in particular never fail to make me laugh. 11) If you could ask for one wish, what would it be? As a couple of my earlier posts have suggested, I wish I could have an opportunity to be completely open and honest with my family about my struggles with mental illness…and have them understand. – I was once addicted to Vaseline (yes, really). If I didn’t have a little tin of it on me at school I’d panic about having dry lips, and would be distracted for the rest of the day. I once forgot to bring my Vaseline on the day of an exam, and a friend had to lend me hers for me to be able to concentrate! – I adore sci-fi films, my favourites being Independence Day, Apollo 13 and Armageddon. – I’m a Trekkie, and was head of the Star Trek Society at uni. – Despite my reputation as a goody-two-shoes, I was nearly expelled from secondary school for being partially responsible for an abusive card sent to a teacher. – I’ve been in a hurricane (if anyone remembers Hurricane Charley which hit the US in 2004, the eye of it went over the villa we were staying in), and an earthquake (in China). – I’m not religious, but I’m not exactly atheist either. – I would love to be fluent in French. I studied it from age five, but dropped it after A level, and now I miss it. It’s such a beautiful language. 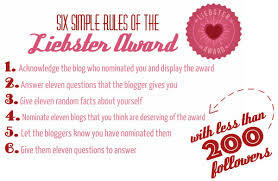 Both the Liebster award and the Versatile Blogger award require further nominations to be made, and I’m going to do this gradually rather than all at once . I know not everyone participates in these award things, but I’d like to kick off by nominating Ella Cook for the Liebster award. Is there a skill you wish you had? What do you consider to be your biggest achievement in life to date? If you could go back in time, what would you tell your ten year old self? Do you keep up with the news? What bad habits really annoy you? What do you hope people will get out of your blog, if anything? An inspiring TED talk from a man who used to patrol the Golden Gate Bridge, attending calls about suspected suicide attempts. He shares his stories, and gives great advice to those with loved ones contemplating suicide. I’m sure I’m not alone in finding that certain songs stick with me for a long time – maybe it’s the tune, or the lyrics mean something to me. ‘Made for You’ by OneRepublic (a criminally under-appreciated band imo) is one of those songs, so if you’re in the market for some new music I can’t recommend this enough!